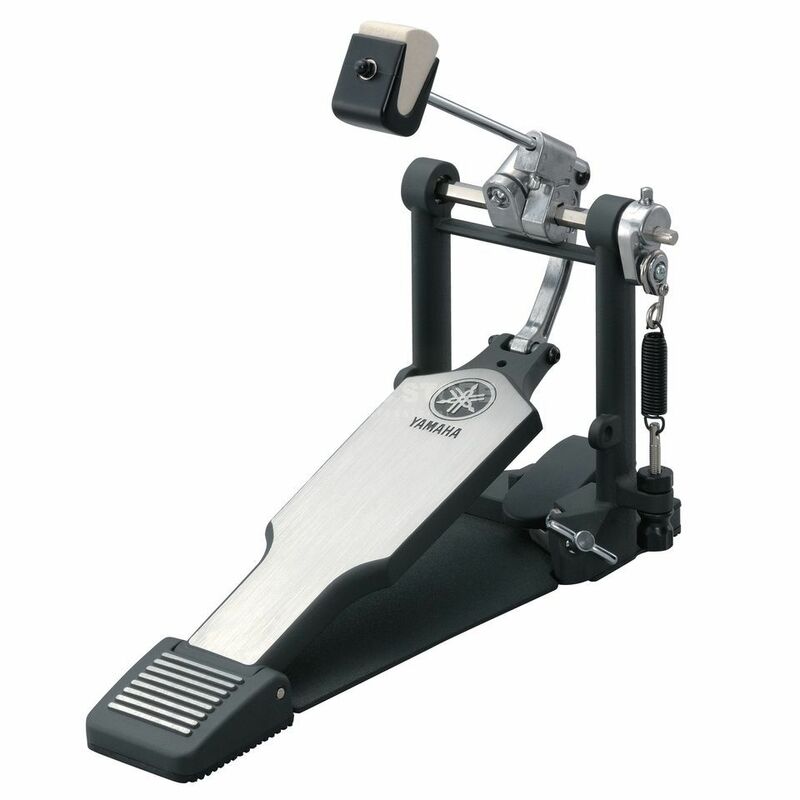 The Yamaha FP9500D Single Bass Drum Pedal is direct drive and loaded with pro features making it smooth, strong, and versatile. The FP-9500D is a direct drive single pedal, with a solid cast link between the rocker shaft and the footboard. The direct drive "pushes" the footboard back on rebound, giving the pedal a quicker response. Many drummers that play heel-down prefer the feel of a direct drive. The FP-9500D has adjustments for beater angle, footboard angle, and spring tension. The pedal frame has a stabilizer bar cast into it below the rocker shaft to eliminate flex. This keeps the bearings in alignment and gives the pedal a smooth feel. The hole in the beater hub is tear drop shaped so it securely holds the beater shaft and keeps the two-sided beater from spinning. The beater is felt on one side, and hard plastic on the other. The side-adjustable hoop clamp holds firmly to different thickness hoops, and tightens with a wing bolt. The FP-9500D ships in a hard sided soft case for transport.